No matter which country or religion you belong to, Earth is one thing to which all of us belong to. And hence, it is of utmost priority for every human being to take care of his mother earth. Just like any other festival or occasion, even Earth Day is celebrated every year on the 22nd of April. 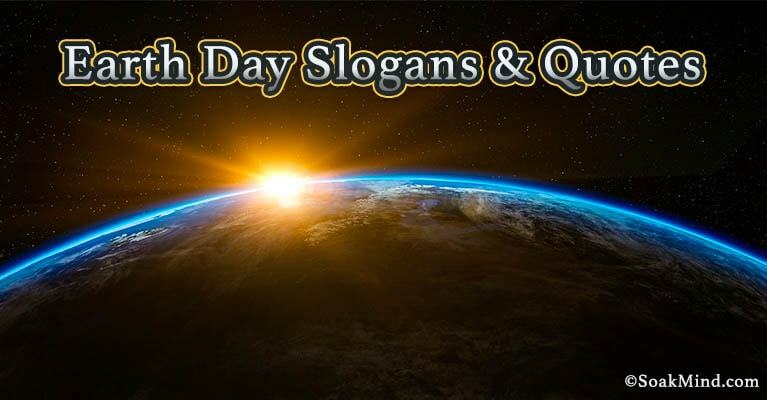 On this day, people share Earth Day Slogans and Quotes, and also spread awareness about grave environmental issues. These Earth Day slogans don’t just cover “Earth Day”, rather the environment as a whole. You might be wondering why people use slogans instead of doing something for Earth? You raised the right question! Separate waste into disposable and non-disposable bins, and many more ways. These are some of the ways one can easily implement in his day to day life, instead of just 1 day. And sharing Earth Day Quotes are targeted towards encouraging this activity of people. If we take into account the pace at which people are harming this planet, it would not be long that it would retaliate badly and the life is wiped off from existence. So it is high time you step up and start saving this planet and its people. We have created a vast list of slogans for you. Since there are so many issues to deal with related to Earth, we have divided this list into various categories. For all these categories, the focus remains one – Saving Earth and celebrating the Earth Day. Share these slogans and quotes with your family and dear ones to spread as much awareness and possible, and motivate them to take some action. What are you going to pledge this Earth’s Day? It is the Earth Day today, and not just any other day. 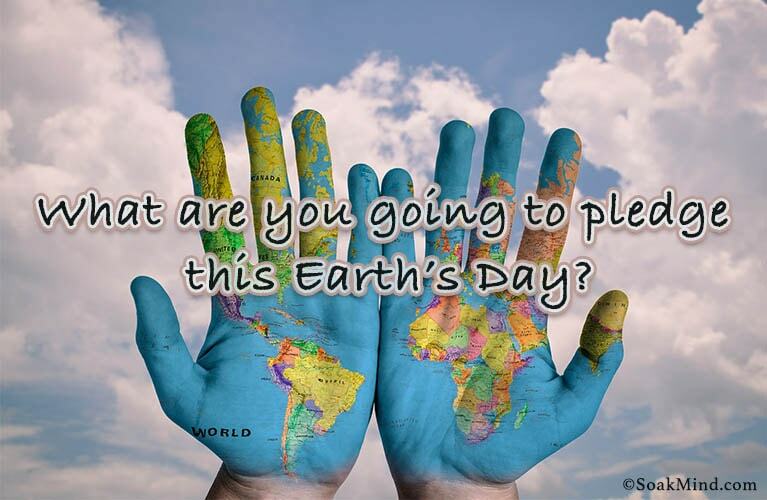 This Earth Day, what on Earth are you planning to do? Earth Day is coming! Our day is coming! Respect the limitations of Earth this Earth Day, and hence every other day. What actions are you going to take to save Earth this Earth Day? Take the Earth Day Challenge and save Earth. This is one challenge you can not afford to lose. It is the Earth Day today. Start cleaning the only space you have got to live. In this universe, Earth is really important. Start spreading this awareness this Earth Day. What changes are you going to bring in yourself this Earth Day? What is the Earth Day? It’s the day we take steps towards preventing the decline of Earth. We must start saving the Earth. Since No Earth = No Life. Don’t just save the earth one day. Celebrate Earth Day every other day to bring some goodness. Join this campaign of Earth Day to know the importance of Earth and Life. So far, you have got no other alternate planet to live. So start saving Earth only. If you wish to see your future generations, better save the present. Saving Earth is not a one day process. You must take small efforts daily. This Earth Day, save millions of life by saving Earth. It’s high time you save the planet and raise your voice against those who are corrupting it. Get! Set! Save Earth from hazards! The Earth Day has come. Start realizing your responsibilities towards the betterment of this planet. It is time you change your bad habits and bring some positive change in you to save this planet. Learn to love the Earth, and not hate it if you want to save everybody. You can’t have a better future as long as the Earth is in danger. So start saving this Earth. This Earth Day, take a pledge to follow the 3 R’s – Reduce, Reuse, and Recycle. If we continue to cause harm to the mother Earth, she is going to retaliate soon. Stop wasting the Earth’s resources. This is the only place you have got to live. We dedicate this Earth Day to this planet for its protection and safety. Not a single person is the owner of this planet. So come together and save it. Save the place you are standing on. Make every day the Earth Day. Go Green! Save the Earth! Take a pledge this Earth Day to go green forever now. 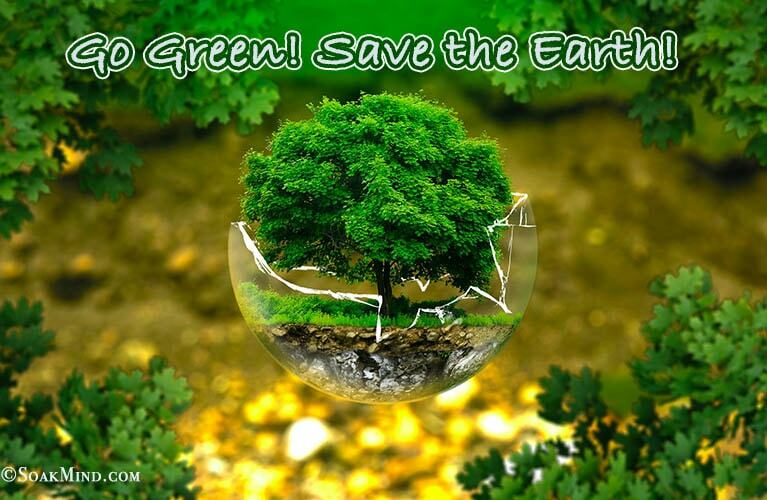 Go green to save the life of your future generations. To secure this planet, decorate it with greenery all around. All of us are living in a very dirty home – dirty Earth. It is time to clean it and make it green. The best way to save this planet from destruction is to follow the Green Revolution. Recycle the waste and go green. Going Green does not mean preserve nature. It means stop abusing nature. Choose not to abuse, and go green. Have a good attitude if you want to go green. Only dialogs will not work. Stop speaking and start moving. Go green this Earth Day. Decided to go green? Your planet is waiting for you. Clean and serene makes going green. Some things may never change. Go Clean, Go Green. Since you don’t have an alternative, better go green. Dinosaurs went extinct – nor their fault. Human race will go extinct – totally our fault. Time to go green. Either make your kids understand that they have no future, or go green. If you don’t start going green now, it won’t be long when you will see the consequences. Stop borrowing the planet from your kids. Go green and give them a pleasant life ahead. Don’t ruin the breath of your children just to give them a nice television. Go green! Nature sounds like nurture for a reason. Don’t ruin it. The earth and its resources are the best gifts you can give to your future generations. So, preserve it. Go green and watch the earth reaching out and giving a big hug. Unleash the magic of earth by making it green. Watch your children smile clean. Go Green! Do what is right, join the fight. Green Earth is definitely a clean Earth. If you will think green, you will be able to keep it clean. Don’t be the Mean Team, always be the Green Team. If you are continuously destroying the planet, then you are definitely not making an investment.